Hello all and thank you for stopping by Santa's Little Bloggers! I'm excited to be guest posting on Carries blog today! I have a fantastic homemade gift idea that I will be sharing with you today that I know you will love. Not only is this project great for the frugally minded gift giver, it's great for any gift recipient who wants to add a bit of flair to their current decor. This gift would look great on a shelf, mantle, counter or side table top. Let's take a look at what I will be sharing. Before we get to the project, I'd like to take a moment to introduce myself. I'm Julie and I blog over at This Gal Cooks about food, cooking and baking. I bet the name didn't give it away, did it? ;) I also have a small design business called Sweet Gal Designs so if you're looking for a sweet upgrade to your Blogger blog design, contact me! Now, let's get onto the project! 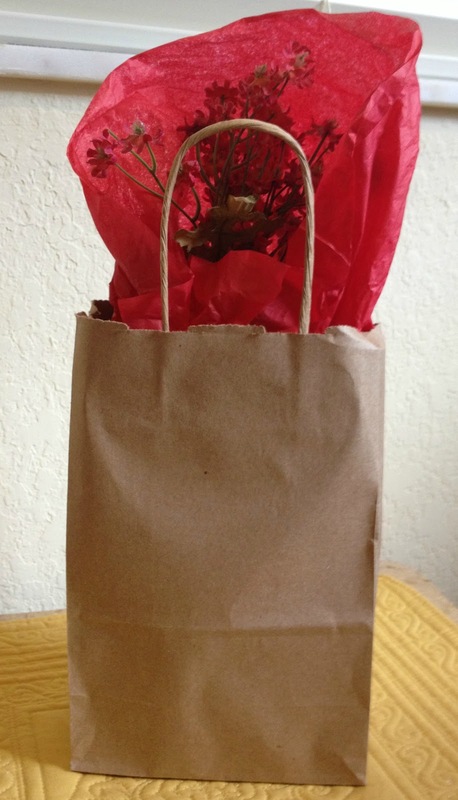 Gift bags and tissue paper for packaging your gift. Fill the bottom of each jar with the stones. 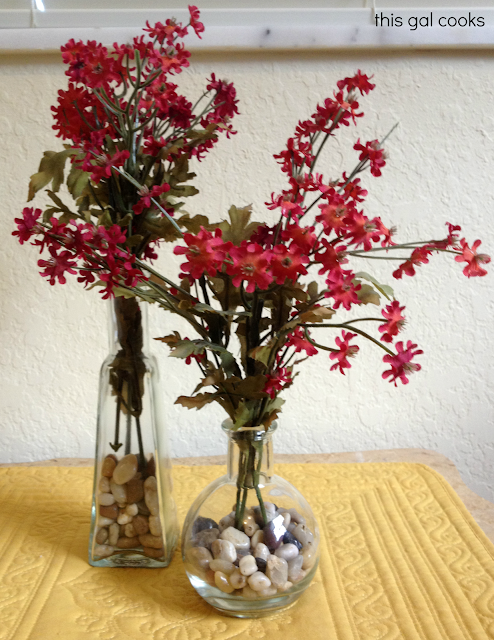 I filled about 1-2 inches with stones, depending on the size and shape of my vases. Hold the flower stems against the vases to determine the best height of the stems. Cut the stems if needed. Your gift is ready for delivery! Thanks for having me on the blog, Carrie! Hello looks awesome, best different flower vase. They all look good.